An award-winning FIFA coach says the Fijian Police should investigate allega­tions of assault and bullying against national coach Christophe Gamel. Slovenian coach Ivo von Sajh-Sche­ich says he finds it hard to believe that besides an internal investiga­tion by the Fiji Football Association, no other action has been taken. He also finds it hard to believe that the players and their parents are all lying about the alleged incidents. 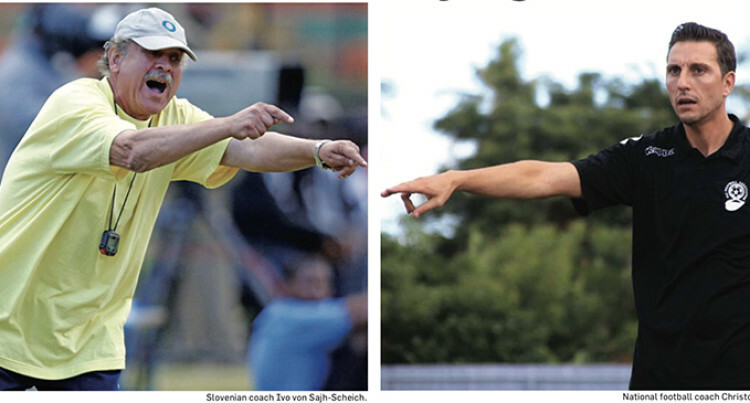 Sajh-Scheich has 39 years of coach­ing experience under his belt, in­cluding coaching India and Myan­mar at national level. The coach also has Pacific experi­ence as head coach of Tuvalu while doing development work there in 2017. He was also an unsuccessful appli­cant for the Fiji coaching job in 2012. In 2013, world football’s governing body, FIFA, recognised him for his contribution to the development of football in Asia and Slovenia with the title, “father of the idea” for the FIFA Confederations Cup. Sajh-Scheich said assault is a police case. “I think that any national coach should be immediately suspended until Police make all necessary steps to find out everything that hap­pened,” he said. Five national under 23 trialists – Amena Bolaitamana, Kini Madigi, Kalaveti Sivoi, Simione Nabenu and Sekove Finau – claim Gamel assault­ed them after they tested positive in a drug test on January 16. The nature of the drug has not been revealed. Three senior women’s players also claim he mocked them for their looks and weight. The players have not reported the matter to Police, with Police Com­missioner Brigadier-General Siti­veni Qiliho clarifying they will only investigate if reports are lodged. Gamel did not respond to Sajh-Scheich’s comments by the time this edition went to press. However, Fiji FA president Rajesh Patel issued a statement on January 29 which said the French coach had denied all the allegations and that he would not be suspended while they investigate the claims. The players and their parents dis­pute the denial. The parents of one female player al­leged that Gamel entered their house without permission and threatened to slap their daughter in front of them if she did not attend training. Sajh-Scheich said that under FIFA rules, there was no place for drugs in football; but there was also no place for a coach who (allegedly) does not respect players. “Maybe in Oceania and Fiji things are done differently, but you can be sure that in Western countries we cannot accept this kind of (alleged) behaviour by a national coach,” he said. “Assault or bullying of players can­not be justified in anyway. In any case, a coach should be at first a lead­er and a great gentleman, especially a national coach. He added that Oceania Football Confederation technical director Patrick Jacquemet was instrumen­tal in Gamel’s appointment as head coach in Fiji, so he may be the right person to comment. Jacquement, a Frenchman like Gamel, has not responded to an email detailing the allegations against the coach.